NOTE: We have large group challenges starting each month, so please e-mail if you would like info on ordering and joining us! I need to preface this by saying that we like to run a pretty strict 24 Day Challenge in our group. You will find a variance of opinions out there regarding the “do”s and “don’t”s of the challenge, but I am here to share advice that has yielded the best results for me and the majority of my fellow Challengers! 1. Read over the Daily Guide and products carefully. As soon as that box shows up at your door I know it’s tempting to want to dive in head first, but trust me when I say you should look through your products and get a better idea of what the next 24 days are going to look like. Take things one day at a time, but familiarize yourself with the products and what’s to come. 2. MEAL PLAN. Every weekend plan out your clean meals for the entire week. I typically eat similar things for breakfast and lunch but dinners I plan a different meal for each night of the week. I use this nifty little notepad, fill it out completely, take it grocery shopping as my list, then hang it on my refrigerator so I know what Im having each night for dinner. I can’t stress enough how much this will help you stay on track and feel organized. 3. Journal your food. This doesn’t have to be anything obsessive, and if it ends up becoming something you don’t enjoy doing, then stop. The cool thing about what you will learn from this challenge is to stop obsessing over food. 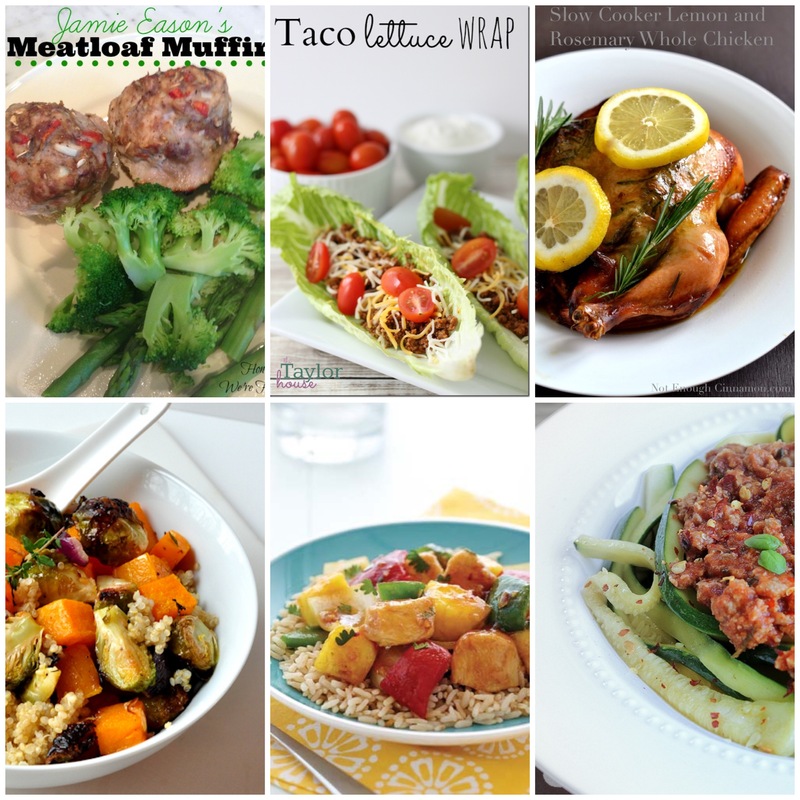 Portions, calories, points etc…let them be a thing of the past. But, I will say writing down what you eat is kind of fun, gives you a plan for the day, and gives you something you can look back on and share with your coach to see if there is anywhere you can make some changes if you feel stuck. I do a daily check-in on the Facebook page and it’s great to start my day writing out what I will eat, and sticking with it. It also gives others an idea of what they could eat that day and really helps you feel organized. 4. Do the 24 Day Challenge with someone else. Get your spouse, family member, best friend etc to tackle the next 24 days with you. It makes it fun to have someone who understands exactly what you are going through! Plus it’s much easier to stay the course when someone you are close with isn’t tempting you with what they are eating, and supports you in your new clean eating lifestyle. 5. Take before photos and measurements. I know those before photos are hard to see…but take them! You will feel so incredibly motivated when you can SEE the difference in a matter of 24 days. Don’t let that scale tell you how you did, let the inches and visible proof do the talking. You will be amazed! If you are a member of my Facebook group I have a great measurements sheet that you can print straight from the “files” tab on the board before you get started. 6. Plan on starting on a date that avoids tempting events. Although I’m not encouraging you to keep holding off on starting a challenge, I do think it’s best to avoid beginning when you know you are about to leave for vacation, when your birthday falls within the 24 days, the week before Thanksgiving (even though I did make an awesome clean Thanksgiving meal HERE) etc. If something major falls within the 24 days that you know could bring about temptation, I would wait until you know you have a low key month to get started. 7. DON’T CHEAT. Like seriously DON’T CHEAT!! Repeat in your head over and over it’s only 24 days, it’s only 24 days. Don’t take nibbles of things you shouldn’t, don’t sneak in one little treat because you’ve been so good, don’t have one drink just because it’s the weekend and you feel you deserve one. What you really deserve is to truly commit to this, and to yourself that you can do this. You are probably wondering how one bite of something can really mess up your results…the problem is that one bite just mentally gave you permission to do it again, and again. There is a reason they call this a challenge…prove to yourself that you won’t be defeated. 8. Don’t give up. Ok, so let’s say you did end up falling off course and snuck in a few things that aren’t challenge friendly. Don’t tell yourself that you have “ruined this” and there is no point in continuing on. Although you can’t hit rewind, you can certainly press play and continue on. Talk to your coach if you need a little motivation…that’s what we are here for. 9. Exercise!!! What you put into your body is the most important part of the weight loss equation, so the 24 Day Challenge can get you results without exercise. But why not take all that extra energy you’ll be fueled with and do something with it that will get you even further ahead, and will just make you feel great?! Ease into what you are comfortable with. Even just setting a daily step count and challenging yourself to move more than you did the day before. Find a way to get in 20-30 minutes of something that gets your heart rate up! You will be so surprised with what you can do! 10. Drink lots of water. I repeat…drink lots of water. Take your body weight, divide it in half, and that’s how many ounces you need to drink. Don’t worry, your Spark counts towards that! 11. Don’t skip your snacks. Or any of your other meals. It is so important to keep eating throughout the day. 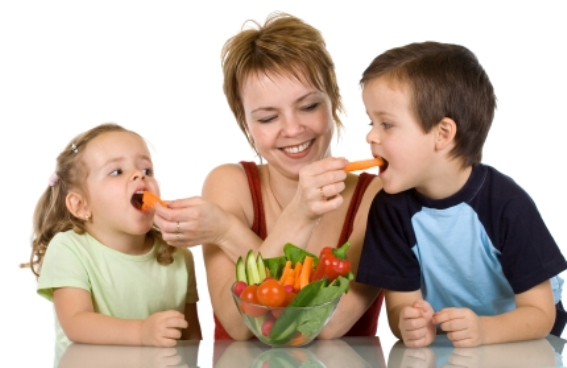 Eating five to six small meals a day, they say, helps regulate blood sugar, control cravings and keep hunger at bay. I know that fiber drink might make you full, and all that water drinking can curb your appetite…but really do your best to stay on an eating schedule especially with your supplements in the Max Phase. 12. Speaking of Fiber Drinks. There are a lot of silent observers in the Facebook group, but let me tell you something…everyone comes out of the woodwork when our beloved fiber drink is discussed! Are you ready for it? Here’s your advice. Throw it into a blender bottle, with ice cold water, shake it, don’t let it sit at all…and CHUG. Keep adding water if you need to. If you need to mix half a pack at a time you can do that too. If you’re feeling really desperate squeeze the juice of a fresh orange into it, or mix it up with your Spark. You’ve got this! 13. Use Catalyst. Did you purchase a bottle of Catalyst with your challenge? I sure hope so. There is a reason this product is nicknamed “lipo in a bottle”. The branched chain amino acids that are in Catalyst will help burn additional fat, tone, define and preserve your lean body muscle and enhance your strength and endurance. This is my go-to product…all day, every day (and Spark too of course)! 14. Buy extra Spark. Speaking of Spark…if you like it, you’re going to want more! Love the convenience of the packets that come with your challenge bundle, but next go around get yourself a canister of your favorite flavor. It’s a much better value and will last you a long time…unless you have to share it all with your Spark obsessed husband like I do! 16. Incorporate all fresh foods. *Tons of fresh fruits and veggies *Brown rice (in moderation) *Brown rice pasta (in moderation) *Sprouted grain Bread (in moderation…Ezekiel is a good brand) *Chicken, fish, lean ground turkey *Almond milk *Eggs *Nuts- raw almonds, raw natural peanuts, raw natural peanut butter *Vegetable broths *Fresh diluted Juices *Legumes (in moderation). 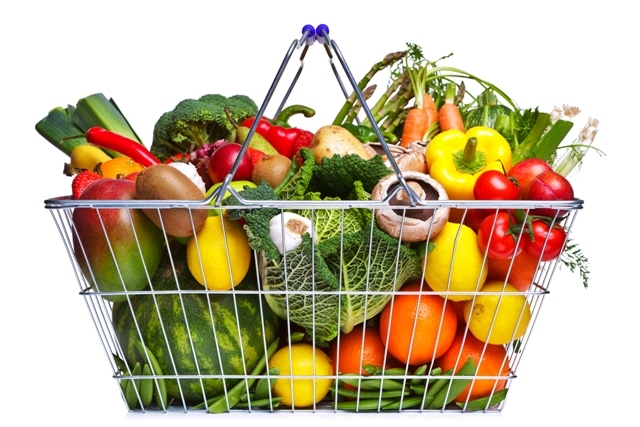 Eat foods with very few ingredients, all pronounceable ingredients, or better yet, no ingredients listed at all because they’re totally natural and unprocessed. 18. Don’t indulge in “good” versions of “bad” foods. What does this mean exactly? Stop with the gluten-free cookies and crackers and the Paleo-fying of desserts, junk food and baked goods. Trying to recreate some of your previous indulgences and addictive foods will not be what frees you from these bad habits. Protein pancakes, almond-flour blueberry muffins, banana and oat cookies, Paleo donuts! !… Are there some great clean treats you can occasionally make for yourself post challenge? Of course! The problem with these kinds of foods are they still taste awesome and often people give themselves the green light to overindulge because they are “healthy”. True…they are healthier (much!) but good luck trying to just eat one paleo peanut butter cup when you have been eliminating these kinds of foods. If you are having a serious craving for something sweet, then obviously these are a much better solution than caving to the real thing but trust me when I say, don’t make these kinds of substitutions throughout your whole challenge…it’s a slippery slope! 20. Don’t step on the scale until day 11 and day 25. Everything in-between doesn’t matter. Come to think of it day 11 and day 25 weigh-ins aren’t all that important either. Losing weight on the challenge is one of the awesome benefits that comes along with it, but if you can see past that number on the scale and focus on how you’re feeling, how your skin is glowing, how your pants are looser, your tummy is flatter, your energy is up, the intensity of your workouts have increased, your cravings have subsided, your bad habits have been kicked and how happy you are knowing you have only been putting the very best foods and supplements into you body…well then you can stop obsessing over that number on the scale, and be proud of your lifestyle shift. 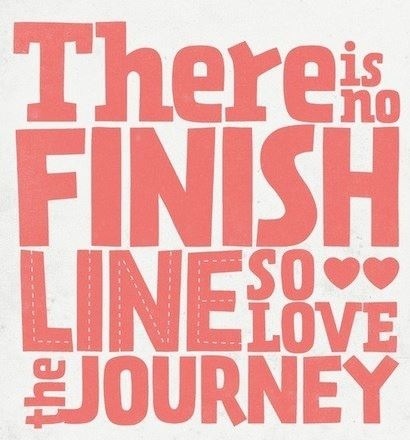 We always say this isn’t a sprint, it’s a marathon. Step off that scale….the number on there isn’t your medal for crossing the finish line. 21. Talk to your coach. 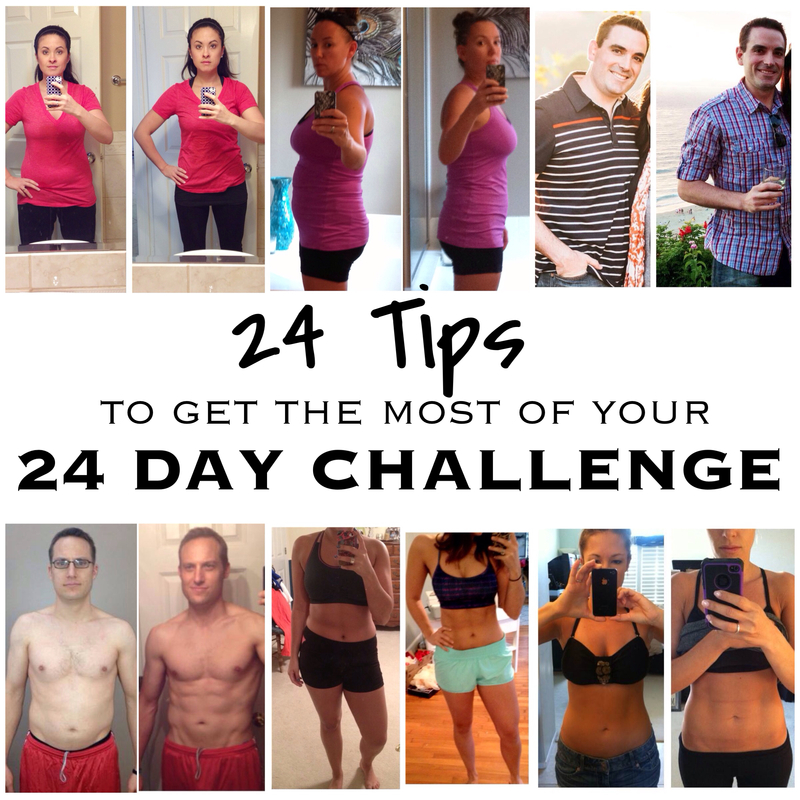 Can you do the 24 Day Challenge on your own? Yup…I did! However, the whole premise for starting the Facebook group was to provide for others, what I felt I was lacking on my first challenge. A support system. A cheerleader. A person to turn to for all your questions. I am often shocked at the number of e-mails I get from people who are almost done their challenges, and are completely lost in the process and are out on the internet Googling answers and end up finding my blog. I can’t speak for all the other distributors out there, but know that when you click “submit” on your order you are getting so much more than an AdvoCare box delivered to your doorstep. You are getting my help, group support, and someone who genuinely cares about your success. Put your coach to work, that’s what we are here for! 22. Plan ahead for day 25. As you head into the middle of your Max Phase, and are feeling and looking the best you have in awhile…like many, you will start to panic. What should I do next? This is a great time to reach out to your coach (if they haven’t already reached out to you), to discuss what to do as your challenge ends and the rest of your healthy lifestyle begins. I actually wrote a detailed post HERE if you would like some specific information regarding day 25 and beyond. 23. Become a distributor. Liking how you feel? Seeing awesome results? If you’re ready to continue on with your new and improved lifestyle and have found some awesome new products that you can’t live without…save yourself, and potentially make yourself, some money. Anyone who is deciding to be a product user should get in touch with their coach so they can hear more about getting 20-40% off all of their future orders. 24. Embrace the change. This…all of this, is for YOU. Taking on the 24 Day Challenge is not meant to be something that you push through just to be finished with and say you did it. It’s not a quick fix. It’s not something fighting against you, it’s not holding you back, you shouldn’t wish for it to be over…it’s helping you grow and emerge into a better version of you. What you can learn in 24 days can honestly change the way you look at food, fitness and overall health for the rest of your life. Go into this challenge with an open mind, and the willingness to allow this to be that game changer you have been searching for. It really should be called the 24 Day Solution. I hope you found these tips helpful and are feeling a bit more prepared for your challenge. As always send me an e-mail at heylaurenrene@gmail.com if you have any questions or head HERE for more information on how to purchase your challenge to join our Facebook group. If you’re feeling ready, grab your Spark and let’s get started! Great information! I cannot tell you how wonderful this new way of eating makes one feel. I find this change to be so easy – no calorie counting- no tracking my food- just eat clean. The weight comes off but more importantly the inches melt away and it seems like with the eating and the AdvoCare supplements the inches that fall off leave where you need them to go the most! Who would have thought that changing the foods you eat and eating more could do this for a body? I am thankful every day for this program, and after the challenge- if I do slip – oh well- I get right back on the clean eating train. After 4 months of this I have found that I really don’t want the white foods anymore. Great advice for the Challengers, thank you for your thoughtful post! Nicole thank you so much for your awesome comment. It’s been so incredible to watch you literally change your life before our eyes. You have been so helpful, so informative, and such an uplifting member to the group. I don’t even have to tell you to keep up the great work because I know you will…forever! Congrats on making such positive changes! Have a great weekend! Oh yes…I count down to my 10 day cleanses. 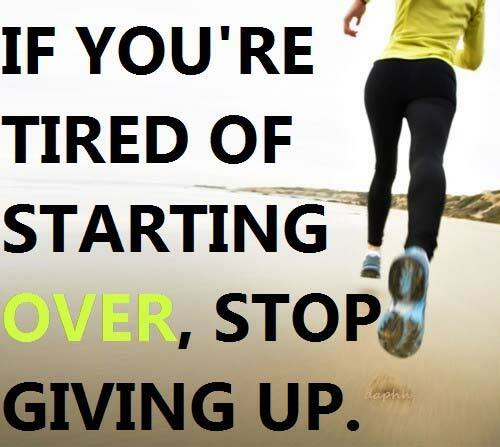 You’re past your 90 days…go for it, you will feel so great! Keep me posted on how you do! Hopefully some of the tips are helpful your next go around. Have a great weekend! Thanks so much for taking the time to blog all this great information. The FB has been a huge help & fun to be part of and I am excited to keep watching the postitive changes happen this go around! You are so welcome Becky! I am very excited for you too and love how involved you are in the group…that will be a huge part to your success! Let me know if you need any help while you are putting together some of your grocery lists this weekend! Glad you’re having fun with this, that’s what is most important! I would love to follow your FB page. What is the name of it? I’d love to join your Facebook group as I’m just starting the 24 day challenge! 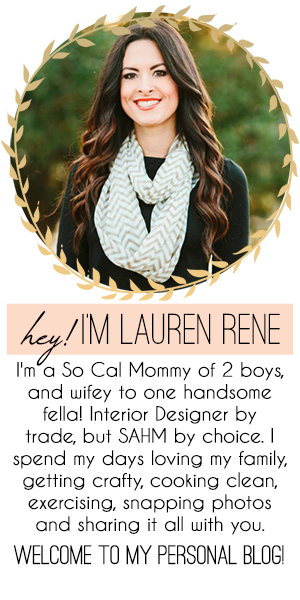 Hi Lauren: I didn’t find your page until I had already ordered the 24 day challenge kit from a girl in my hometown. She’s new to Advocare as well so I got online searching for information and stumbled upon your site. Love your site and the fact that you are a living Advocare. Would it be possible for me to be a part of your facebook group? I started the 10 day cleanse today. Hey I thought it was Jan 7 that was the start date??? Hi Steff, January 5th was the start date we had set long before AdvoCare announced it’s National ALL-IN group challenge for the 7th. Many of us will still be starting on the 5th with plenty starting on the 7th as well. Several people in our Facebook group already got started! Whatever date works best for others is awesome…so long as they are starting somewhere Hope you join in too! Your blog is amazing! Thank you so much for sharing all of these tips and advice. My husband and I start our 24 Day Challenge next week. I look forward to following your blog and trying some of your recipes! This was such a great post. You and your husband look FABULOUS! Great tips and advice. My sister and I are doing it and like I said, this is not a so much a diet, but more eating the way we’re suppose to be eating anyways. I’m a single mom of a very OPINIONATED PICKY 4 year old prince, and it’s hard to go out and exercise, but I started doing YouTube videos. I look for those (especially kickboxing, which I think is easier to follow with) and started doing them, I feel good. Your web site is amazing. I am even more motivated. I have completed day 3 and am very excited. It was unbelievable how good i felt after day 1. I hope to make this a life change. Good Luck everyone! Keep up the good work….. This was the greatest advice and tips I have read so far! Thanks so much. I am going to keep this close by me. I am so happy to hear you found this helpful!! Good luck on your challenge!! okay-here goes nothing! Just bought the 24-day challenge stuff from your link. I am eager to get started, however extremely nervous. I have been in a constant struggle with my weight and body image since I was a little kid. I have tried numerous ways to lose, but the results have always taken soooo long (or never come at all) that I end up getting discouraged and quit. Its a constant two steps forward 3 steps back yo-yo with me. I literally have 3 different size pants in my closet. In any one month I can range all three sizes. I’m really hoping to get rid of this excess weight once and for all and finally be able to get dressed and feel good about what I put on. I think I am most looking forward to the structure and support through the fb page. So here is to our future….cheers! I wish I had seen this 10 days ago! I plan on starting my 24 day challenge on the 1st of march. where do i go to join the facebook group? ive already ordered my kit, just looking for some more insperation along the way. thanks! Hi Jessica- the group is for my clients or clients of members on my team only. They all put so much work into making that board run smoothly so out of respect to them we have made it private. I also don’t like stepping on other distributor’s toes so hopefully you have a great coach that will be reaching out to you as well. Good luck on your challenge, you will LOVE it! Hello:) Amazing advice!! I want to order the 24 day challenge, I don’t have a coach and would love to order through you. Unfortunately I also don’t use FB. Also- does the challenge come with the Fiber drink? I didn’t see it in the cart when I added it. Thanks so much for your comment Tyler and happy you found my blog. I will reach out to you first thing tomorrow! Thank you so much for this post. I am on day 2 of the challenge and I know this post is old but I found it via google. This was so encouraging and I just had to say thank you for posting it! Wow, so glad I came across your post. I am in day 2 of my challenge. Thanks for the wonderful advice! I recently heard of your product from a family member. She is considerly younger than I am. If I’ve learned anything since I turned 50 is staying in shade is much harder. so I’m hopping to get the same great results she has. I do have a couple concerns I need addressed before ordering your product. I currently take medication for accasional anxiety as well as a hormone replacement due to complete hysterectomy a few years back. Should I be concerned with taking these medication along with your product? I am so happy I stumbled to your post. I had actually heard about advocare about 2 years ago, and now my husband and I are starting the challenge on July 1st. Very very excited and your post makes me even more excited! I can do this!!!!! I am starting my 24 day challenge today. I feel confident that I can do this. Thanks for all the good tips. I am starting on Nov 2 so I am in the prep phase. On the Advocare website, it says you can use cottage cheese and nonfat Greek yogurt as snacks. In #15, though, you say to avoid both cottage cheese and yogurt. Is this a recent or new change to the challenge? We run a tight ship in a our Facebook support group and want to get people their best results possible. For that reason we typically suggest a dairy free 24 day challenge. this Is an amazing product.I love it! !